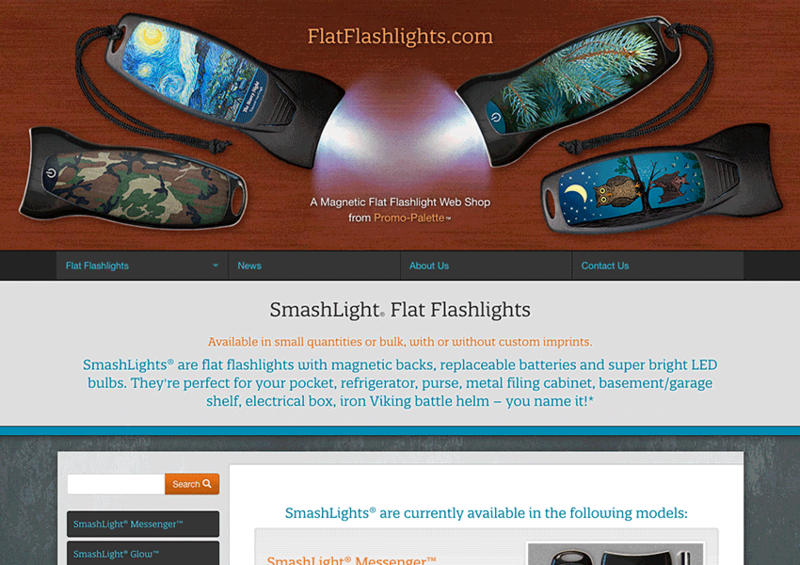 FlatFlashlights.com is a Flat Flashlights e-commerce website from Promo-Palette (that name sounds familiar…), featuring SmashLight® Flat Flashlights from Bentcil®. Their stock designs are available in quantities as low as 1, with bulk and custom imprinted labels in quantities as low as 25. They currently feature the SmashLight® Messenger (great value) and SmashLight® Glow (premium back-lit art panel), and will be adding new products and designs soon.